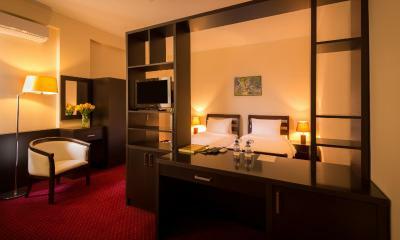 Lock in a great price for 14th Floor Hotel – rated 8.8 by recent guests! Breakfast was super nice as I got to see the best view while eating at the rooftop. Few meters away from Republic Square so it was very convenient for us. 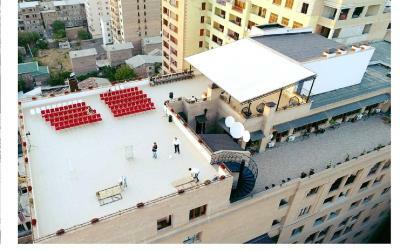 Location is very central and SAS supermarket, restaurants and Republic Square are within 2 min walk. Bed was comfortable and hotel is clean. We had a great stay...Hotel staff accommodated us early upon check in. We’re surprised that our rooms were upgraded and all our special request were all granted. 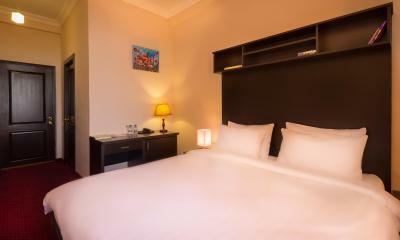 Rooms are big, comfortable bed, bathroom is big and clean, daily make up room service, very good breakfast. 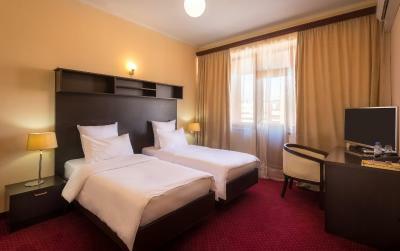 Hotel is located in City Centre, just 3 mins walk to Republic Square and near to SAS supermarket. 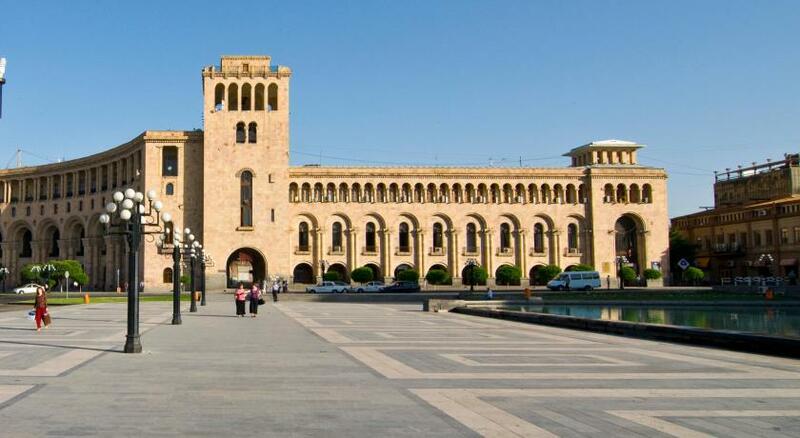 Surely will come back again if we will have a chance to visit Armenia again. The view from our room was on Masis (Ararat) mountain. Great location and views. Wonderful breakfast. Comfortable bed. Extremely nice and helpful service people. 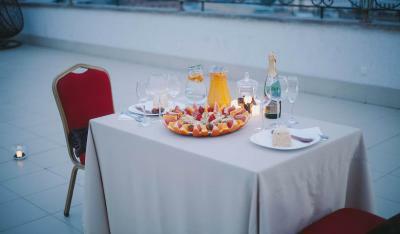 Nice terrace with great panorama of the city. Helpful staff. 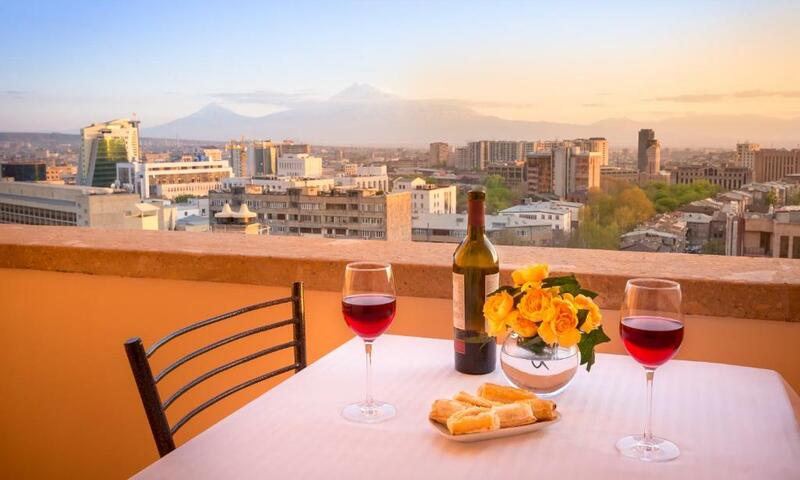 One of our top picks in Yerevan.Featuring a roof terrace with views of Mount Ararat, this hotel is in the center of Yerevan, just 300 feet from Republic Square. Guests enjoy free Wi-Fi and free parking. 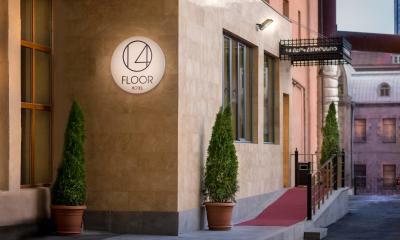 The 14th Floor Hotel is located on the 14th floor of a grand building. 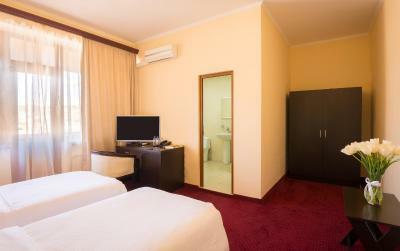 Its air conditioned rooms and suites include a living area with flat-screen TV. 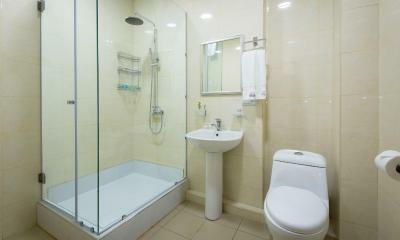 Your bathroom includes slippers and toiletries. A breakfast buffet is provided in the 14th Floor’s bright cafe. The 24-hour front desk staff can organize rental cars and shuttle services for you. Within a 5-minute walk are the Yerevan Opera House, the National Gallery of Armenia and the Blue Mosque. Hanrapetutyan Hraparak Metro Station is just 3 minutes away by foot. 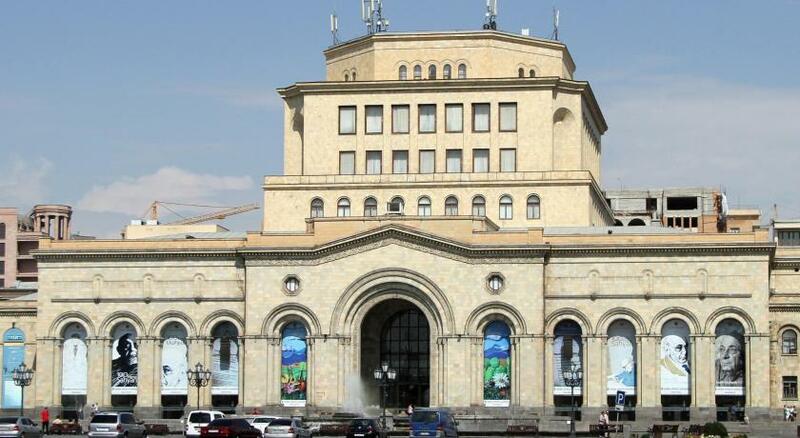 Yerevan Central Train Station is 2 stops from here. When would you like to stay at 14th Floor Hotel? Includes a bedroom and a small living room. Includes a bedroom and spacious living room. 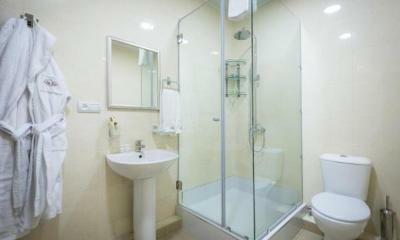 There is an extra half bathroom. 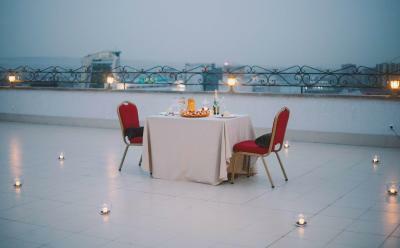 House Rules 14th Floor Hotel takes special requests – add in the next step! 14th Floor Hotel accepts these cards and reserves the right to temporarily hold an amount prior to arrival. The hotel is tooooo old !!! The breakfast is so poor!! Pictures are not reflective of the real!! The hot water presure in the shower was very low. Great location. Very central. The staff is super polite and went out of their way to help us. 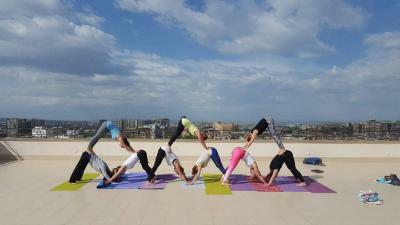 Thank you so much for making our stay in Yerevan so pleasant. 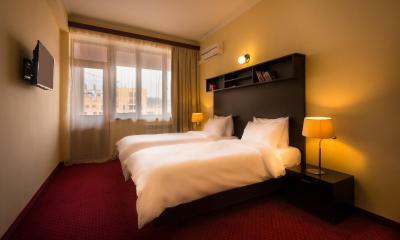 The 14 Floor hotel is amazing place for stay in Yerevan. The staff is perfect. They are redy to help you every single moment... Breakfast is fresh and very tasty. Der staff thanks a lot for warm welcome! 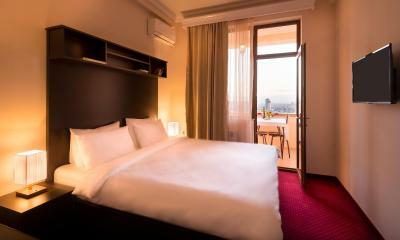 I will often stay in this Hotel...Perfect!!! I don’t know where to start. First of all because of flight delay I came one day later but had to pay the whole sum. First located on the 14th floor which was unfinished. The room look like you went back in time during communism. Russians made so much nose that I had to change during the night at 3 am. The room located on the 2nd floor was very small, old furniture, the door or the bathroom couldn’t close so there was no privacy. The door has a big gap underneath which made it possible to look in the hallway. The breakfast was far from an ok standard. Please don’t book this hotel because it’s nothing like it’s written on booking.com. After complaining to the staff and manager there was still no solution granted which gave us a very bitter taste. 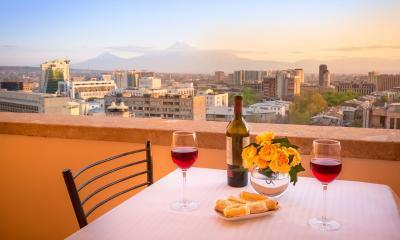 For the same money u book something luxurious somewhere else in Yerevan. Coffee was disgusting and the hotel is just not worth it. The floor we were in was under renovation so the lift beside our room was not working. We had to take longer walk to another lift to go up and down the building. The hotel is little bit hard to locate as it is inside a compound and does not have a signage. But not a big deal. Location is good! Near restaurants and the Republic Square. You can stay late outside and enjoy Yerevan and won't worry about getting back to the hotel as it was surrounded by establishments. Plus they have the magnificent view of Mt. 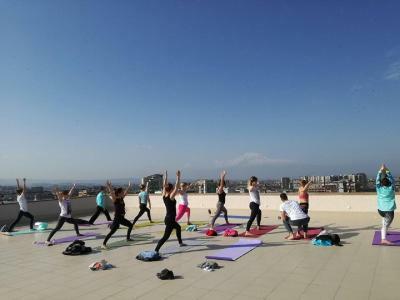 Ararat at the roof deck. I have to commend the staff also, they were nice enough to accommodate our request to server our breakfast as we had to leave early morning for our flight. Staff were helpful and will try their best to attend to all our other request. Will recommend! There was nothing that I didnt like about this place. The staff were very friendly and accommodating. Rooms were very neat and clean, got a good panoramic view of the Ararat mountains and the city. Everything was pretty much 5min walk from this place. Would definitely recommend this place to all traveling to Armenia. Great location, good food, and hospitable staff!